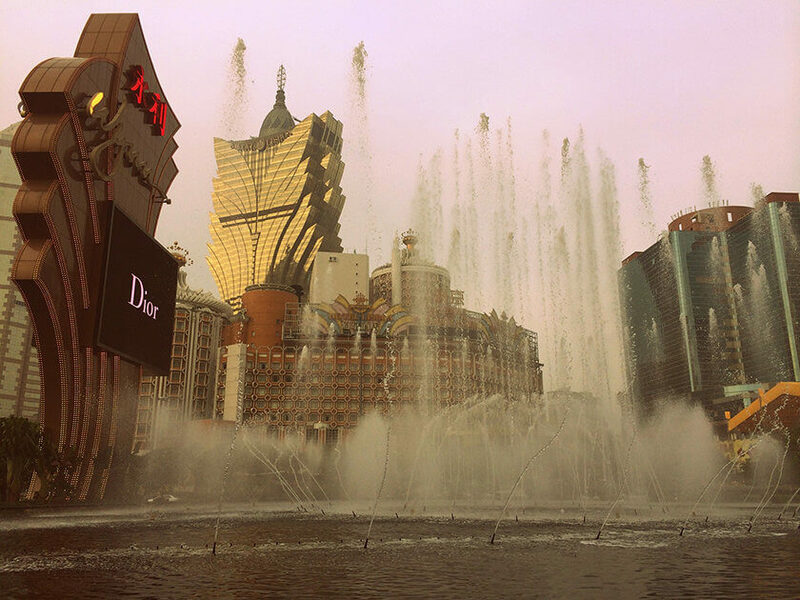 Macau, as a destination, is typically visited either as an accompaniment trip to Hong Kong, or as a place for mere casino indulgence – so when I first told my friends that I was heading to Macau for a month, they didn’t think I would find much to do there for that length of time. I agree one doesn’t necessarily need to stay a month to explore the region, but I wanted to witness the Chinese new year as well. There are no direct flights from where I traveled (Bangalore, India). It didn’t seem too far; the journey was just tiring due to the connecting flight. When I landed at the airport, I was pleasantly surprised to find few people with the duty officers, as most nationalities get to stay and visit Macau for 30 days without any visa hassles. 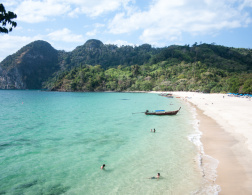 So, the whole process of getting there was pretty effortless (you can visit the official website of Macao Immigration for more travel-related information). affordable $50 a night at a private house. 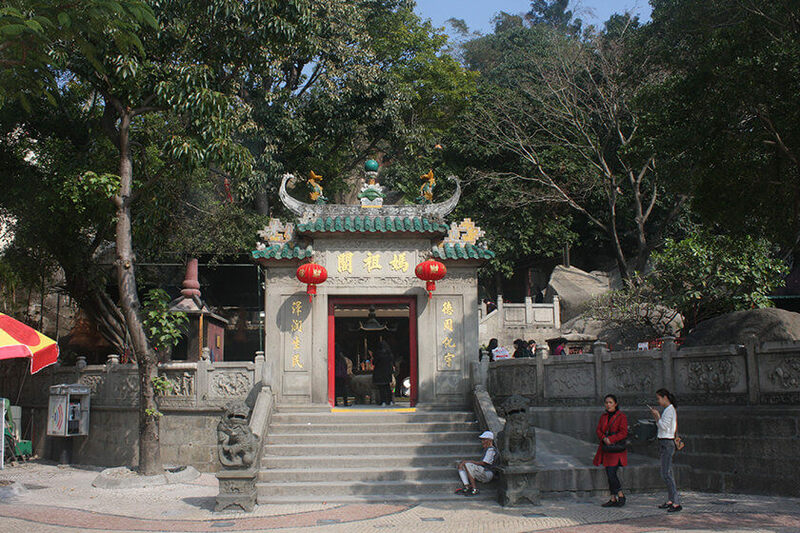 Macau is under the Special Administrative Region of China (SAR), and it’s divided into three major areas: Macau, Taipa, and Coloane – each with something different to offer. 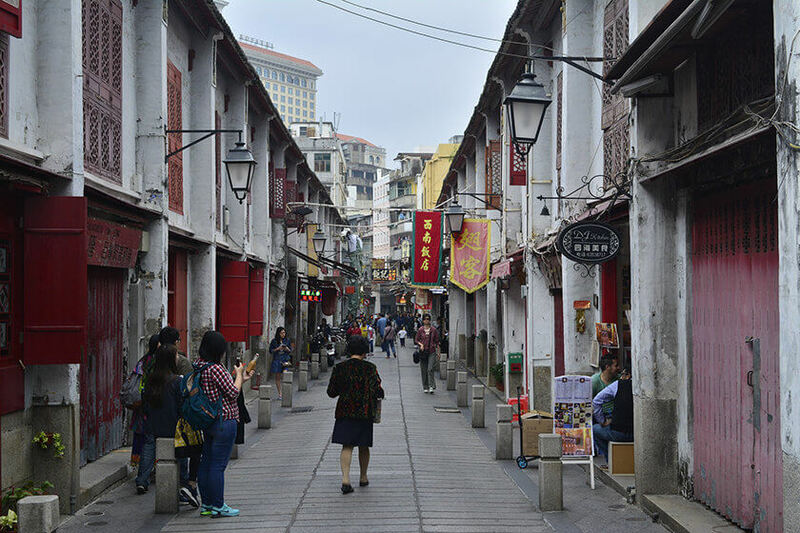 While Coloane and Taipa (with its Cotai strip) have the best casinos, shopping malls and luxury hotels, Macau on the other hand provides a splendid cultural infusion of Chinese and Portuguese. The best way to explore the city is by walking. However, there are two significant forms of public transportation: taxis or buses. There are no metros or trains available and quite frankly the need for their existence doesn’t arise either. Bus fares are low, and they are available every 6-8 minutes in every direction that you intend to travel, making getting around cheap and easy. 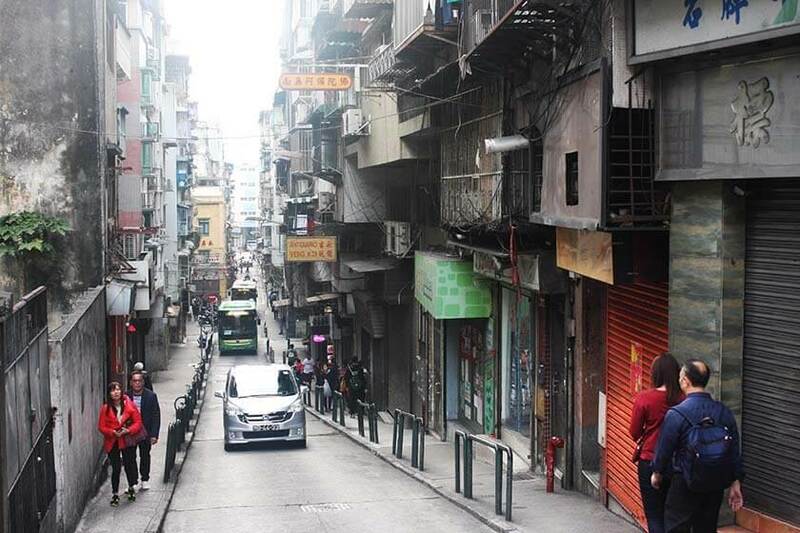 Taxis, on the other hand, are available at a wave on the street, but you’ll make things simpler for yourself and the driver by having a Cantonese/Mandarin translation of the place you wish to visit. 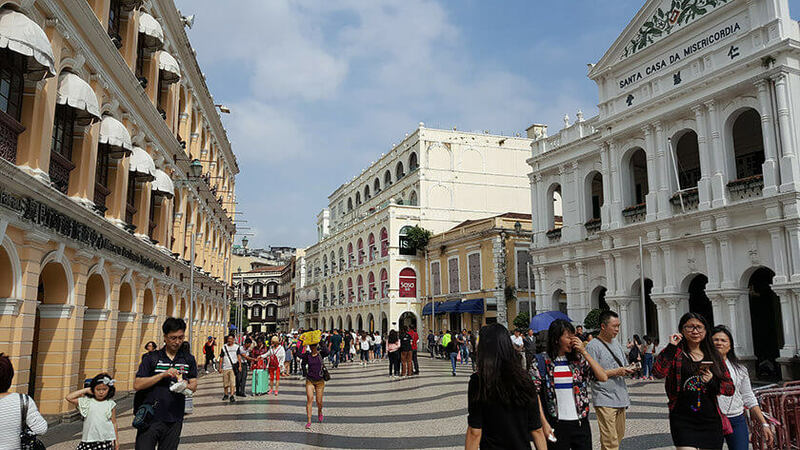 Wandering around the city, although you’ll notice that a substantial portion of the populace is Macanese, you won’t find yourself stared at during your stay. Just a quick glance perhaps and then they get on with their lives. 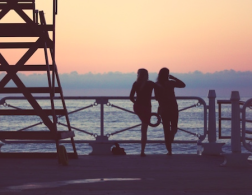 The majority of people here don’t speak English, but you will always find a way to get by as there will be someone who understands the basics of the language and can help you. What I found far more interesting than the quaint shopping and casino spending was the perfect blend of two cultures, and the cozy and edgy vibe of the place. 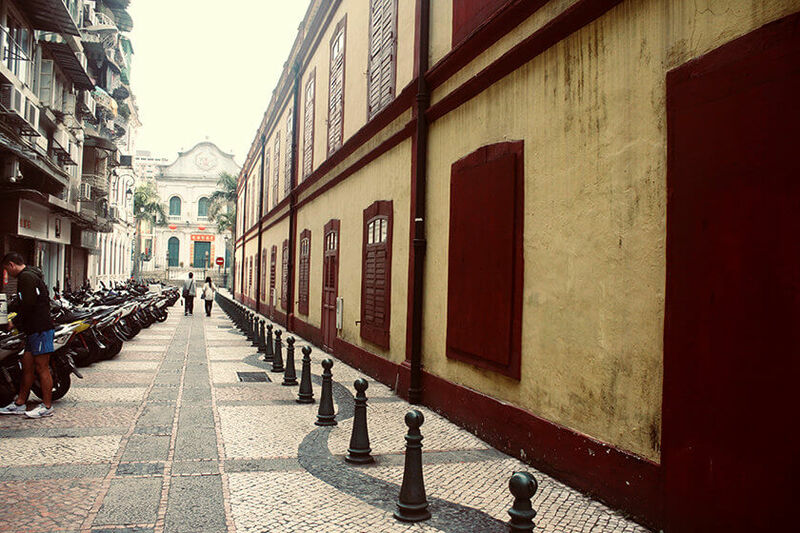 The random pops of color in a dull pedestrian precinct, the artistically carved cobblestone pavements and the Portuguese colonialist architecture looming over the narrow lanes are quite the visual treat. I visited Macau during February, and was lucky enough to witness the Chinese new year. It is a singular experience. The stores were closed for business, and the streets were empty while the squares roared with people. The roads were lit up by brightly-colored lanterns and decorated mandarin trees. I was excited to take in a fabulous display of fireworks and thoroughly enjoyed the spectacle of cultural traditions. What came as a shock to me was the difference between the idea of Chinese cuisine as it is served India, and what I ate in Macau. Of course, I knew it there would be some difference, but the disparity is comical. After initial resistance, I took a great deal of liking to authentic Chinese cuisine. The food however that I enjoyed the most had to be Portuguese, with their in-house wine that went along with everything. Besides Chinese and Portuguese, there are a wealth of cuisines one can dive into, from Japanese, Korean and Vietnamese to Singaporean. The cafes and bars found on the squares here are surprisingly tiny, and exquisite. I spent an entire day in a cafe reading a book and observing the people pass by. 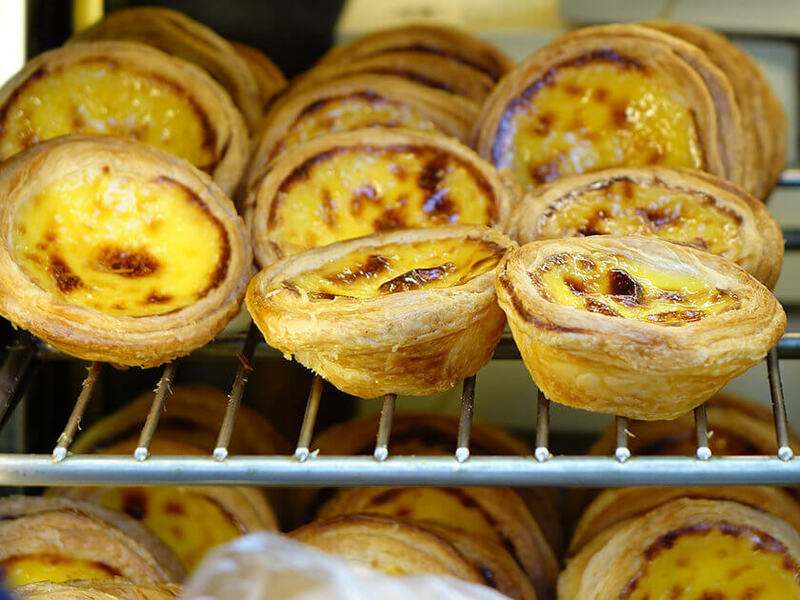 You can also find plenty patisseries to indulge in for your sugar cravings; the favorites amongst the locals are egg tart, sawdust pudding and croissants. McDonald’s, Pizza Hut, and Starbucks all seemed to have carved out their popularity amongst the locals too. 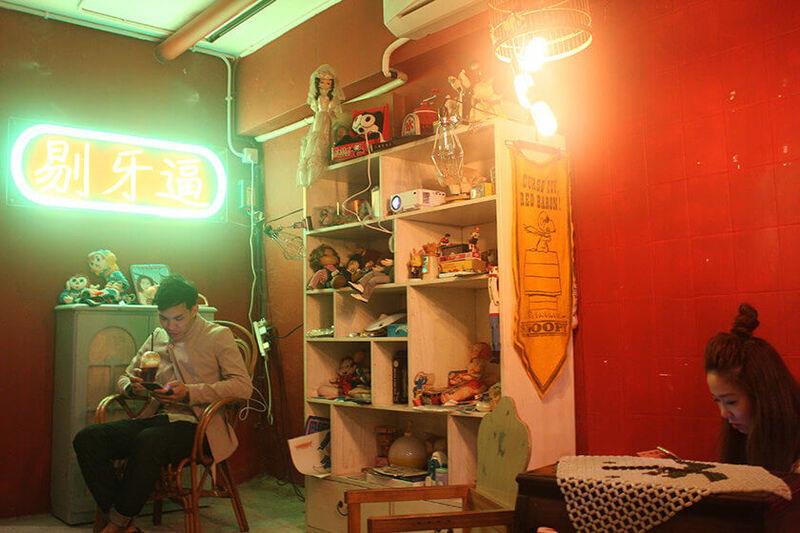 During my stay, I visited a couple of bazaars, food streets and a vintage store. To be honest, the market wasn’t very eventful, but the vibe and the local artists’ work was worth it. The exploration of the vintage store proved to be of interest; I got to witness the clothing style and accessories over a period of years and ended up buying a unique jacket and silver jewelry. 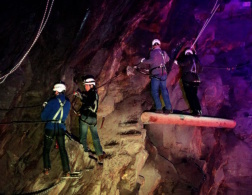 There are quite a few museums and holy places to visit depending on your interests, and I have been told that the trip is incomplete without touring these three spots. One, the iconic Ruins of St Paul’s Church on Santo Antonia. Second, the gorgeous gold Kun Iam statue along the Avenida Dr and the A-Ma Temple, one of the oldest temple in Sao Lourenco. So fellow travelettes, in my splendid month’s travel to Macau, I’ve probably indulged in gambling just once or twice, but instead I’ve come to love and live the chaotic fusion of cultures and quirky influences the most. What’s your take? 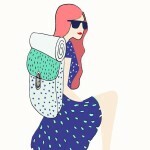 This is a guest post by Shilpa Srinivas. 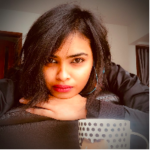 Shilpa is a part time content creator and a travel enthusiast. 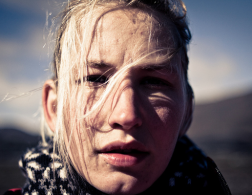 She has traveled to 12 countries so far and has a strong desire to explore the lesser known places. Quirky, spontaneous and a warrior at heart best describes her personality. You can reach her on Instagram @flohwithme. 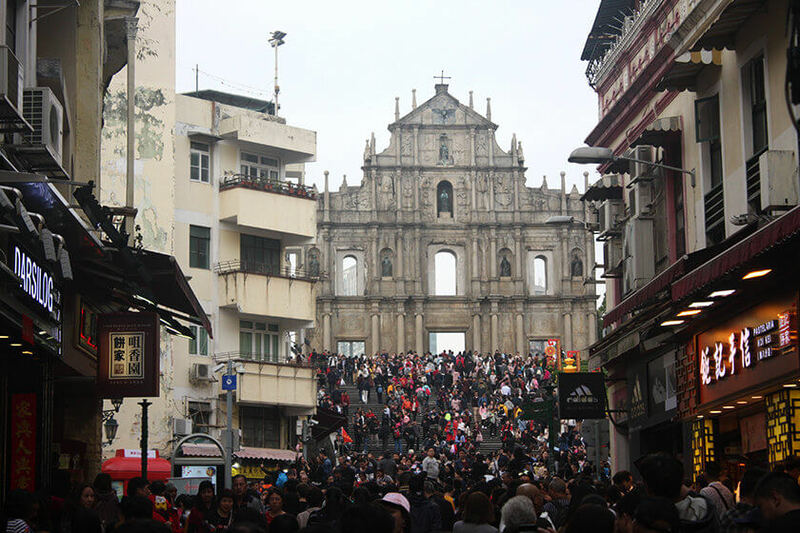 I visited Macau during February, and was lucky enough to witness the Chinese new year. It is a singular experience. The stores were closed for business, and the streets were empty while the squares roared with people.